Straight from the front line. 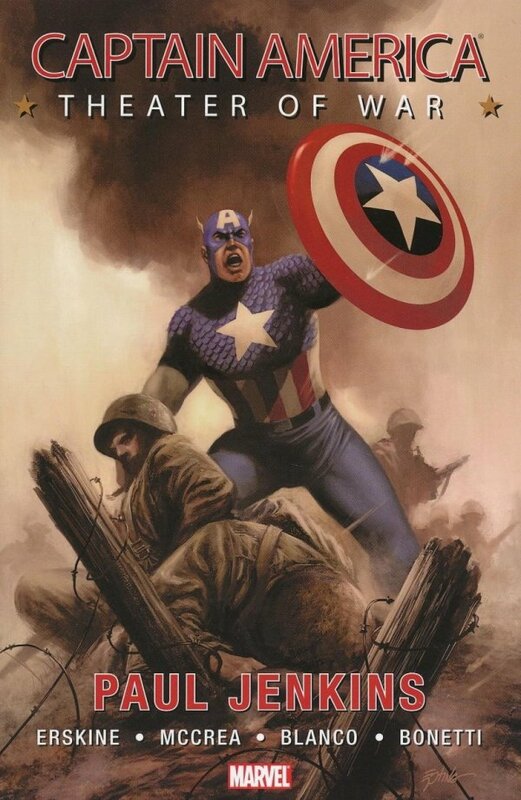 In the ever-unfolding story of the United States, the spirit of Captain America has been present throughout the ages. 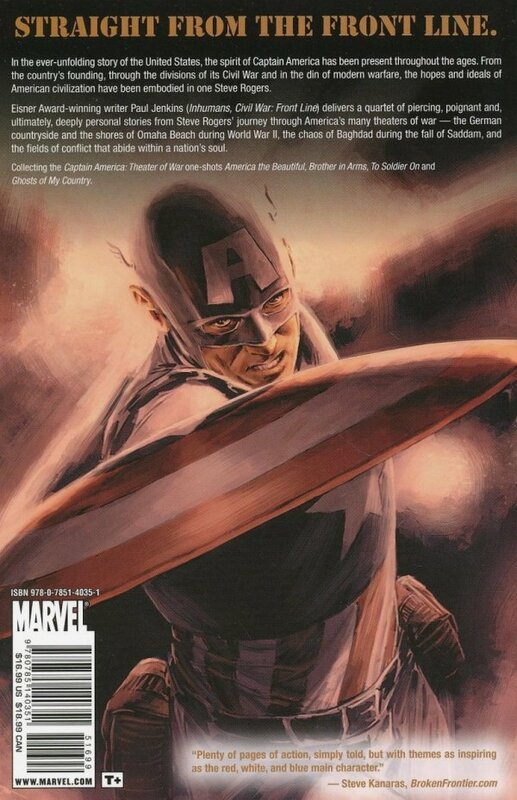 From the country's founding, through the divisions of its Civil War and in the din of modern warfare, the hopes and ideals of American civilization have been embodied in one Steve Rogers. Eisner Award-winning writer Paul Jenkins (Inhumans, Civil War Front Line) delivers a quartet of piercing, poignant and, ultimately, deeply personal stories from Steve Rogers' journey through America's many theaters of war - the German countryside and the shores of Omaha Beach during World War II, the chaos of Baghdad during the fall of Saddam, and the fields of conflict that abide within a nation's soul.